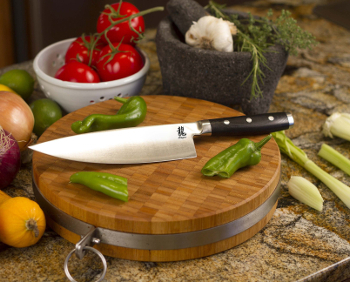 This innovative line of Yaxell Dragon cutlery represents the best of both worlds. 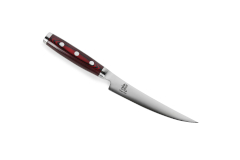 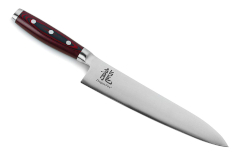 These are extremely sharp and durable knives that are the perfect blend of Japanese Craftsmanship and advanced American steel and technology. 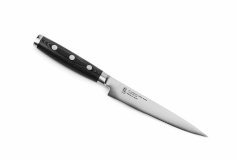 The Yaxell Dragon knives are constructed of 3-mm thick Nitrogen-Enriched American BD1N Steel, hardened to a Rockwell Hardness of 63. This extremely robust one-piece construction features extreme sharpness and edge retention. 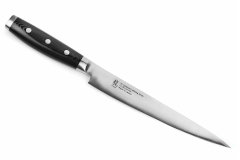 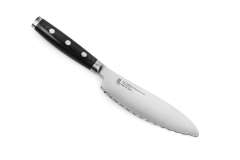 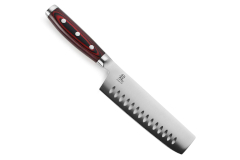 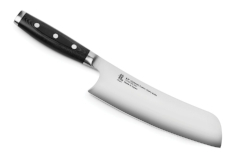 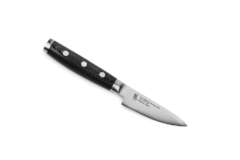 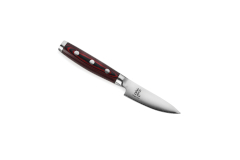 The handles are made of highly heat-resistant, FDA approved non-shrink Micarta®, with stainless steel rivets and bolsters. 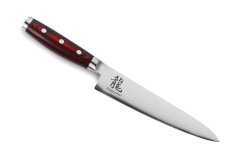 Handcrafted in Seki City, Japan from American BD1N steel with a lifetime warranty.